For all who have wondered how it might feel to stand face-out at the edge of home, Love of Country is a revelatory journey through one of the world’s most remote, beautiful landscapes that encourages us to think of the many identities we wear as we walk our paths, and how it is possible to belong to many places while at the same time not wholly belonging to any. 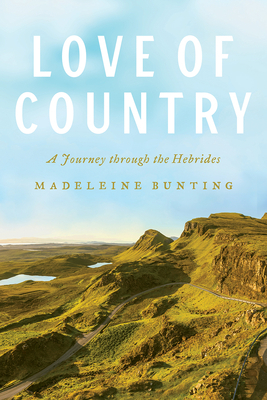 Madeleine Bunting was a columnist at the Guardian for more than twenty years. She is the author of three books, including, most recently, The Plot: A Biography of an English Acre. She lives in London.